When 17-year-old Lafeyette High School junior Tom Niday passed away in a car accident two years ago, an entire community was devastated. Universally beloved by peers and teachers, Tom touched the lives of everyone around him. Now, in a powerful tribute, his school is honoring his memory by establishing the Tom Niday Memorial Scholarship Fund for students who look like Tom. It breaks the hearts of LHS students and faculty that Tom will never go to college, but through this fund, dozens of kids who look like him can. 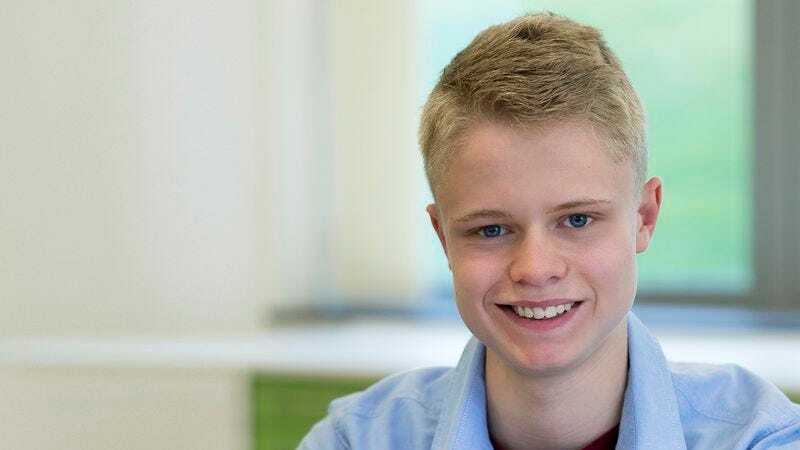 Thanks to his community’s efforts, Tom’s spirit lives on in the form of a generous memorial fund that gives high school students resembling Tom a whopping $2,000 in financial aid. The scholarship is renewable, which means that recipients get $2,000 every year for four years as long as they continue to look kind of like Tom. Tom’s death was a tragedy, but for Tom’s near-doppelgängers across the country, it wasn’t in vain. Hundreds of applicants have flooded the scholarship board with photos and personal statements on why they think they look like Tom. What a beautiful gesture. It’s nice to know that Tom’s legacy won’t soon be forgotten. He may be gone, but his likenesses will be roaming college campuses nationwide for years to come.